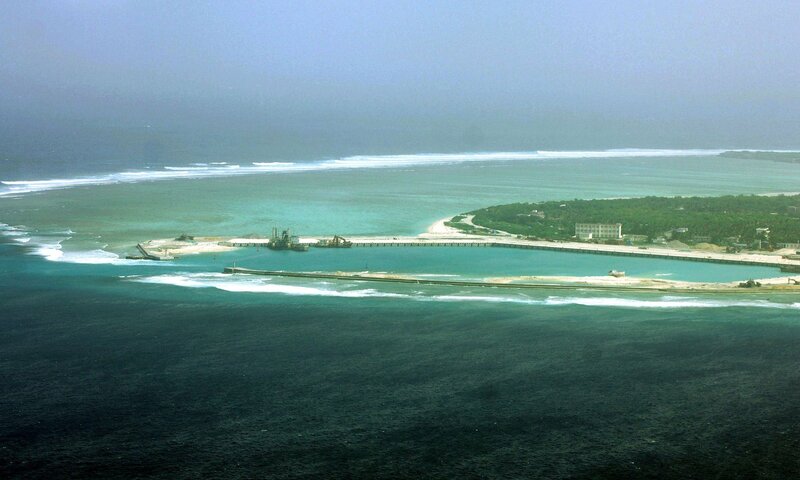 (TibetanReview.net, Nov11, 2016) – A mouthpiece of the Communist Party of China has threatened trade sanctions on India in case it joins Japan to ask China to abide by a Hague-based international tribunal’s ruling quashing Beijing’s territorial claims over the disputed South China Sea (SCS). “India should beware of the possibility that by becoming embroiled in the disputes, it might end up being a pawn of the US and suffer great losses, especially in terms of business and trade, from China,” said an Op-Ed article in the state-run Global Times Nov 9. The Op-Ed cited media reports as saying India was seeking support from Tokyo during Prime Minister Narendra Modi’s visit to Japan this week to issue a joint statement asking China to abide by the Jul 2016 ruling of the Permanent Court of Arbitration ruling on the SCS and said, “India and China should put more efforts into resolving problems like the imbalance of their trade ties”. The Op-Ed said India wanted to scale up its stand on the SCS in retaliation to Beijing blocking of its bid to the Nuclear Suppliers Group (NSG). It said that although China’s major rivals in the dispute, such as the US and Japan, had been trying to draw India into their camp, “the country will be likely regarded as having a token role” and that New Delhi appeared to have overestimated its leverage in the region.